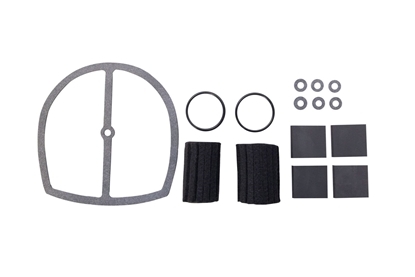 The SSIK479 Vane Kit is compatible for Gast models 1023 and 0823 Rotary Vane Air Compressors. Vane Dimensions 2" L x 1-1/2" W Vane Thickness 3/16"
The K223 OEM Vane Kit is a repair kit used for Gast models 0822/1022 Oil-less Rotary Vane Air Compressors. 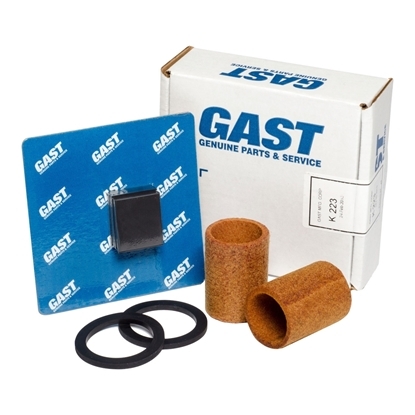 Gast compressors provide many years of dependable service but due to continual wear over time some compressor components may need to be replaced in order to continue to provide the proper air flow. Gast recommends that vanes be replaced every 2 years. Always replace the entire set of vanes at one time. 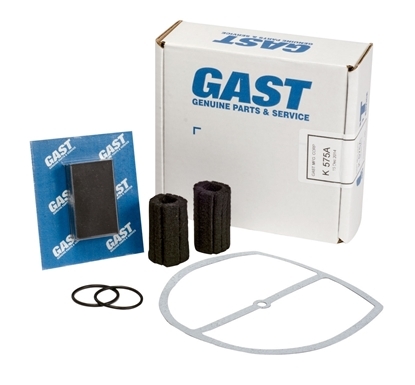 The K575A OEM Vane Kit is a repair kit for Gast 1423 oil-less models. The kit includes four vanes, one gasket, two internal filters and two O-rings. A new rebuild kit is recommended every two years. 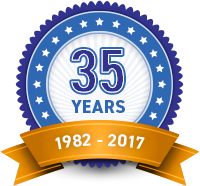 Gast compressors provide many years of dependable service but due to continual wear over time some compressor components may need to be replaced in order to continue to provide the proper air flow. Instead of purchasing a new pump, you may just need to replace some internal components. 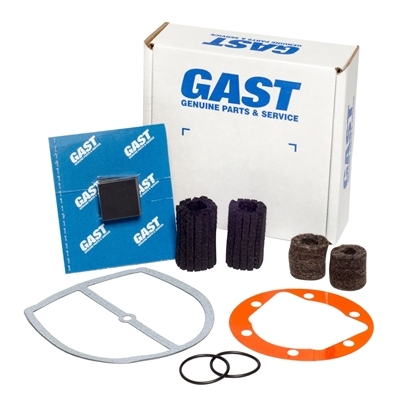 The K882 OEM Vane Kit is the repair kit for Gast AT03 and AT05 Rotary Vane Air Compressors. 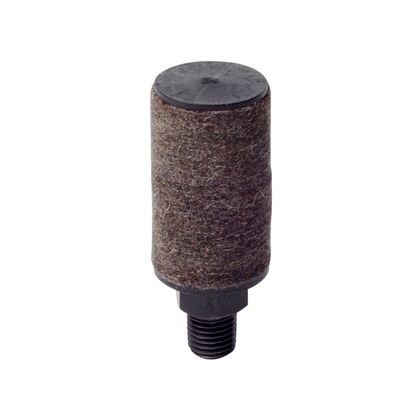 The AC393 Orange Filter Element is a replacement for the AC432 assembly. 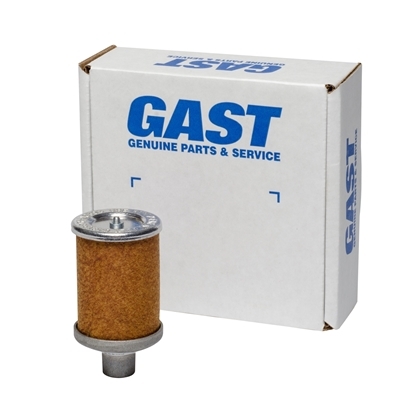 This filter maximizes and protects the performance of the Gast pump. Recommended change interval is every 6 months. 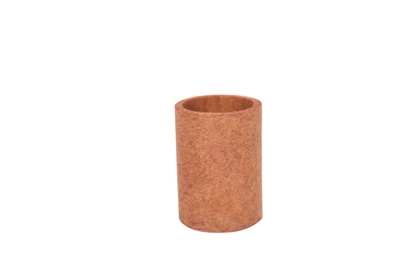 The AC432 Orange External Filter Assembly is for Gast Rotary Vane models 0823 and 1023. Assembly includes one AC393 filter and a filter holder assembly. 10 micron filter and it is recommended the filter be changed every 6 months.